for $549,000 with 3 bedrooms and 2 full baths, 1 half bath. This 1,480 square foot home was built on a lot size of 103x220. Tucked away in Mansquan Park and set on a beautifully landscaped and level lot is this charming Ranch! Featuring 3 bedrooms and 2 full baths including a beautifully renovated Master Suite! In addition on the entry level is a 2nd very spacious bedroom, full bath, family room w/ wood burning fireplace that backs up to views of your secluded park like backyard. The eat-in kitchen is large and provides wonderful flow into the family room and walks out onto a very spacious deck perfect for entertaining! Moving into the finished basement is the perfect set up for an additional living room/man cave. Tons of living space w/ high ceilings and also offers a 3rd bedroom, office/den and Laundry room! 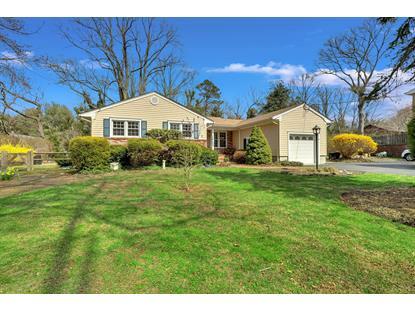 Situated just a few short blocks to the Manasquan River in a quite and friendly neighborhood.